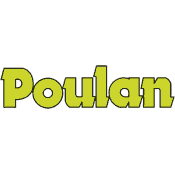 Poulan parts with easy online ordering. Is the Weedeater is giving you trouble? Have no fear! We have Poulan lawn mower parts, chainsaw parts and trimmer parts so that you can get back to weed wackin' before the weeds even know what hit 'em. Not sure what you're looking for? Browse all genuine Poulan Weedeater parts here.